Has your Bellmawr, NJ property experienced a history of moisture problems? Do you detect musty odors or suspicious discoloration/staining on your surfaces? These signs might be trying to tell you about an mold problem in your South Jersey home or business. Mold is a bio-contaminant that should be handled by a certified professional who has the necessary skills, training, and tools to safely assess the full extent of the problem. If you detect signs that can be pointing to a mold problem, call a certified mold inspector to complete a mold inspection in Camden County, NJ. If your Bellmawr, NJ home or business has suffered from a history of moisture problems, you could have an undiscovered mold contamination. Musty odors and unexplained stained or discoloration can be the first symptoms of a mold problem. If you think you detect signs pointing to a mold problem, contact a reputable professional to complete a mold inspection in Bellmawr, NJ. At MasterTech, we take every possible measure to maintain the utmost quality control. Each mold technician on our South Jersey crew is thoroughly trained in all mold remediation procedures and safety protocols. MasterTech will always prioritize you and your family’s safety and best interest. That is why every mold remediation in Bellmawr, NJ is backed by a 5-year, mold-free warranty. It is our guarantee that the mold has been properly removed, and it will not return. MasterTech implements oxidative technology to actively remove the mold in your Bellmawr, NJ home or business. 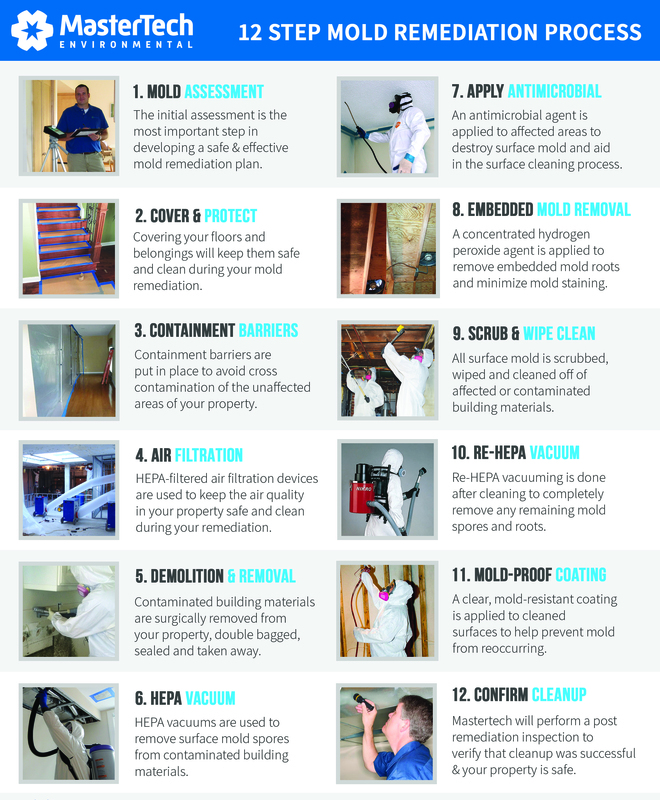 It is the safest and most effective approach to mold removal available in the industry today. This method harnesses oxidizing agents, surfactants and surface cleaners that target bio-contaminants like mold in your home. The use of oxidative technology has revolutionized the mold removal in Bellmawr, NJ. The process does not require the use of powerful pesticides and there are no dangerous residual chemicals or heavy metals remaining after remediation. A poorly done mold remediation can greatly impact your family’s health and leave you with expensive property damage. It is important to do your research before trusting just any South Jersey mold remediation company with the safety and well being of your family and your home. If you and your family are in need of a trusted and certified NJ mold removal company to properly handle your mold problem, call us today to learn more about mold removal in Camden County, NJ. For mold inspection and mold removal in Cherry Hill, NJ or mold inspection and mold removal in Voorhees, NJ, call 1-800-310-3226 to speak with a member of the MasterTech Team.